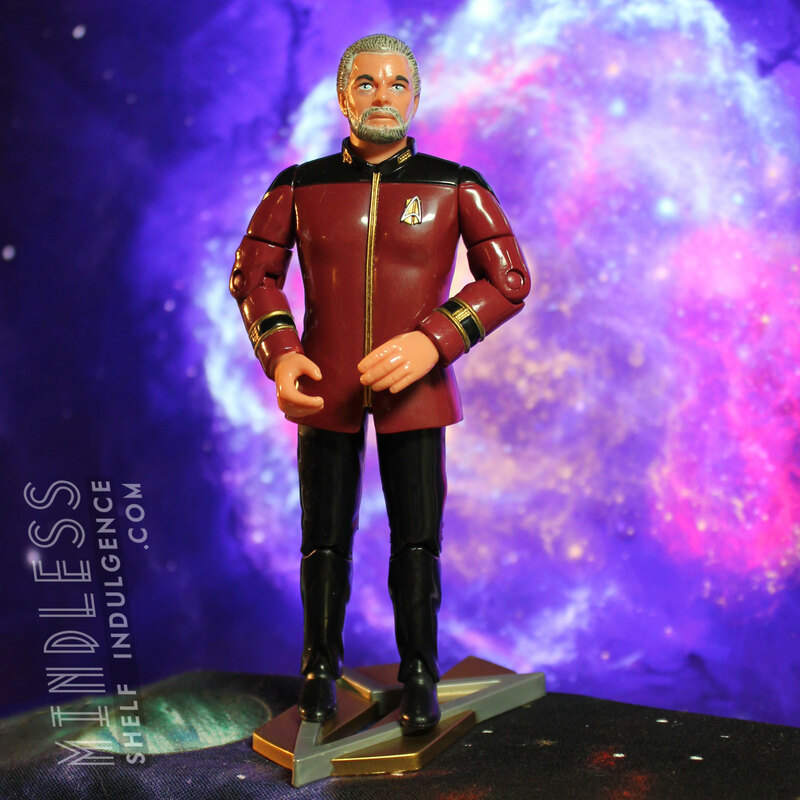 Governor Worf is one of the few figures to be accompanied by a future Starfleet base. 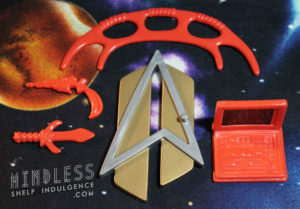 He also includes his usual accessories (weapons) and a computer, all cast in red. 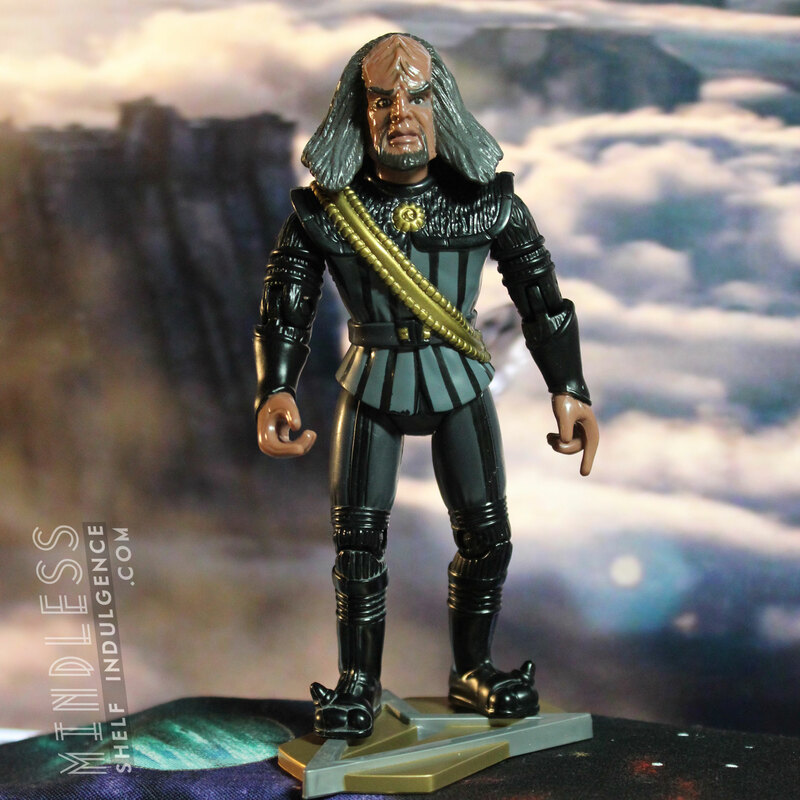 This Worf is from the episode “All Good Things…”, after he’s left Starfleet and become the governor of a Klingon colony on the border between Federation and Klingon space. 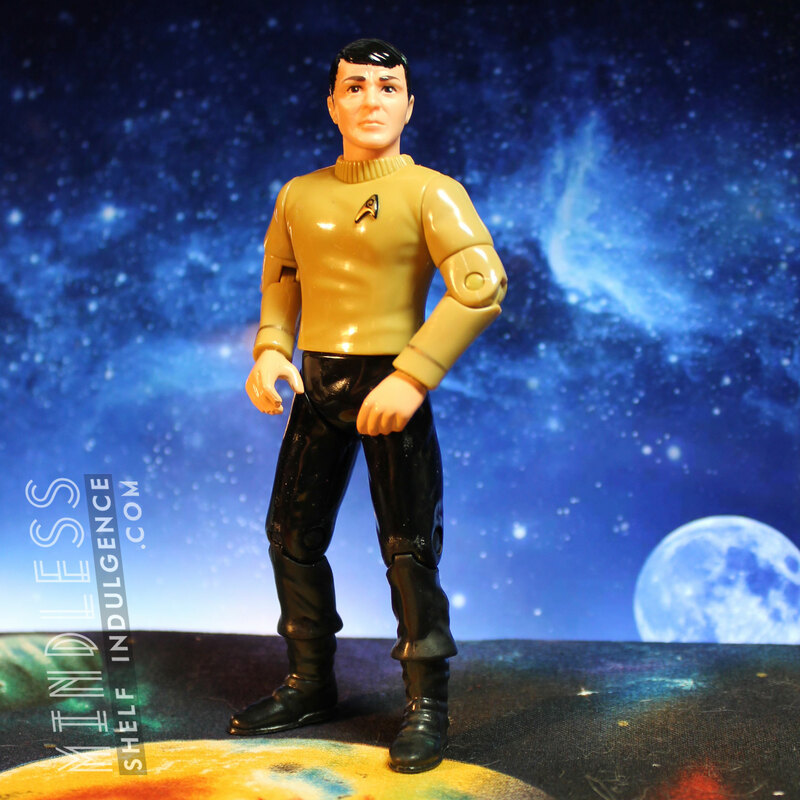 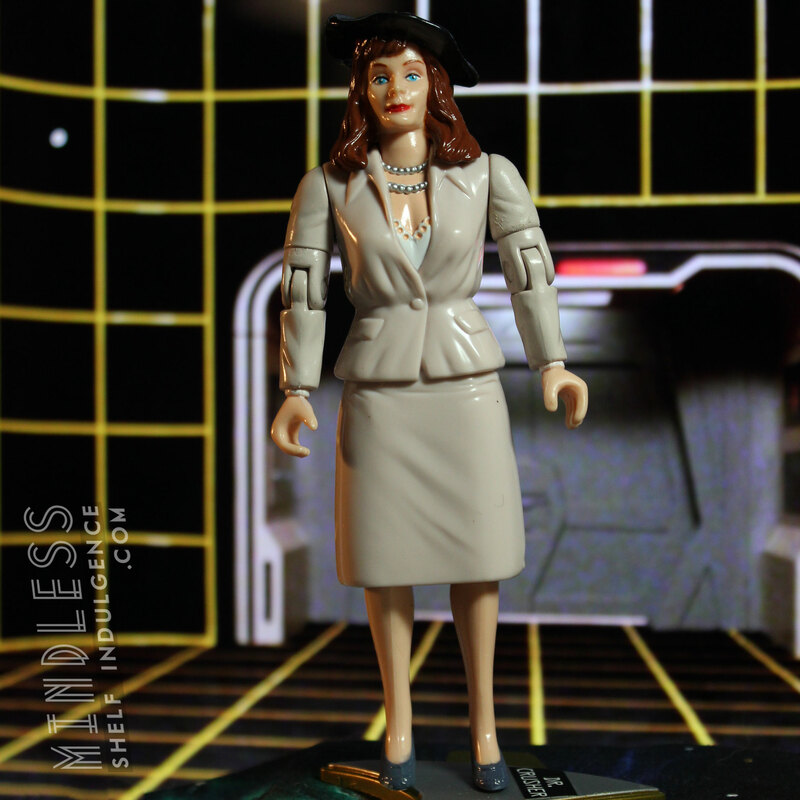 Multiple figures came from this episode, including future versions of Picard, Data, Geordi, Riker, and Beverly Crusher.